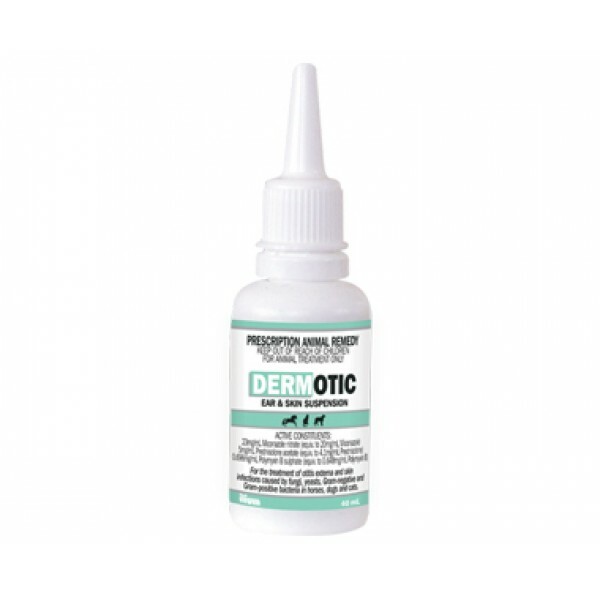 Treatment of otitis externa and skin infections caused by fungi, yeasts, Gram-negative and Gram-positive bacteria in horses, dogs and cats. Dermotic is not active against ear mites. At the beginning of the treatment cut the hair surrounding or covering lesions.